Flight tables are beautifully engineered and supported on a central beam which allows the table top to be flipped over from a horizontal to a vertical position. Flight is an innovative table system designed for multi-use applications/layout. 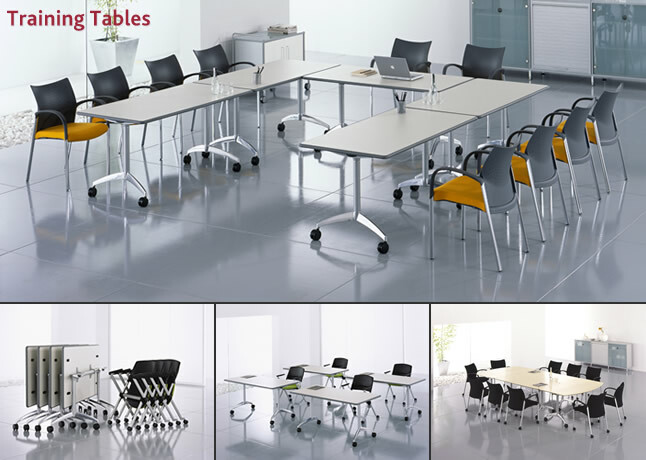 Flight is ideal table solution for those high traffic areas used for a variety of reasons - impromptu meetings, seminars, training, conference or dining.